Check it out!!! 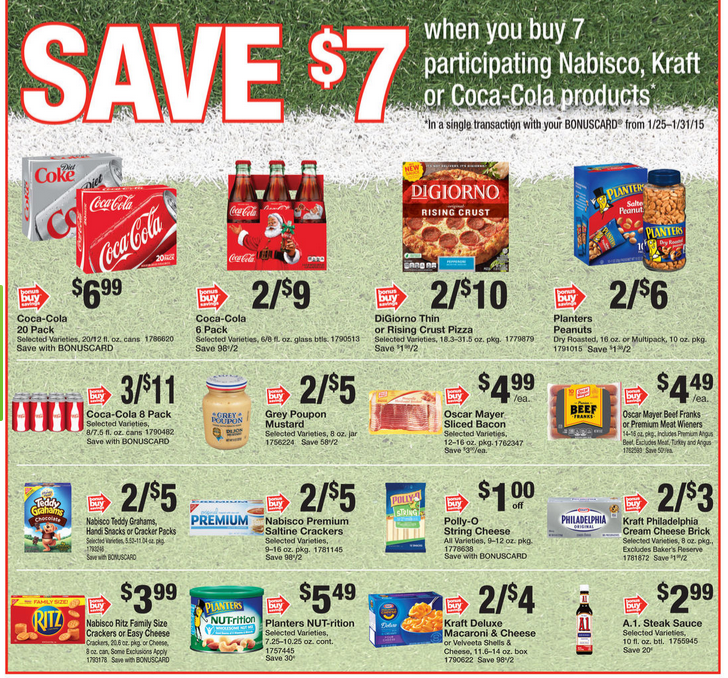 Here's a triple-dip buy idea at Giant PA this week. 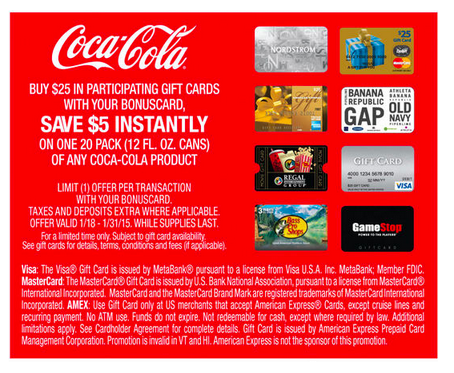 Combine the Buy $25 participating gift card and saving $5 instantly on one 20-pack Coke Pack with they Buy 7, Save $7 Instantly Deal and get another catalina too! Total $36.49 plus earn (1) $3 Giant PA Catalina add the $25 Gift Card, making all grocery items only $8.49 or $1.21 each!!!!! !